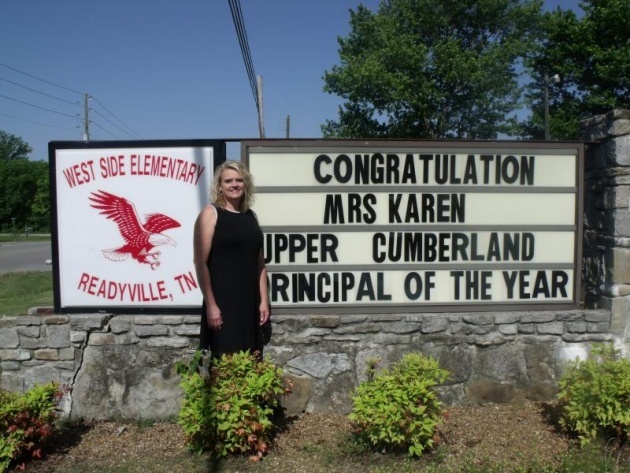 Karen King, principal of West Side School has been chosen by the Upper Cumberland Principal’s Study Council as the Principal of the Year for the 2013-2014 school year. 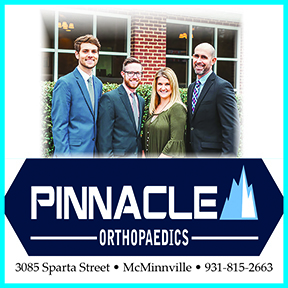 Mrs. Karen, as she is known by her staff and students, has been a principal for six years in the Cannon County School District. She served as principal at East Side School for four years and is finishing her second year as principal at West Side where she taught for 16 years before becoming an administrator. While serving at East Side, her school was named a Reward School by the State of Tennessee in achievement and growth, and both schools have shown steady growth in student achievement while under her leadership. Mrs. King will now have the opportunity to represent the Upper Cumberland Region as she participates in the selection process for the Tennessee Principal of the Year.